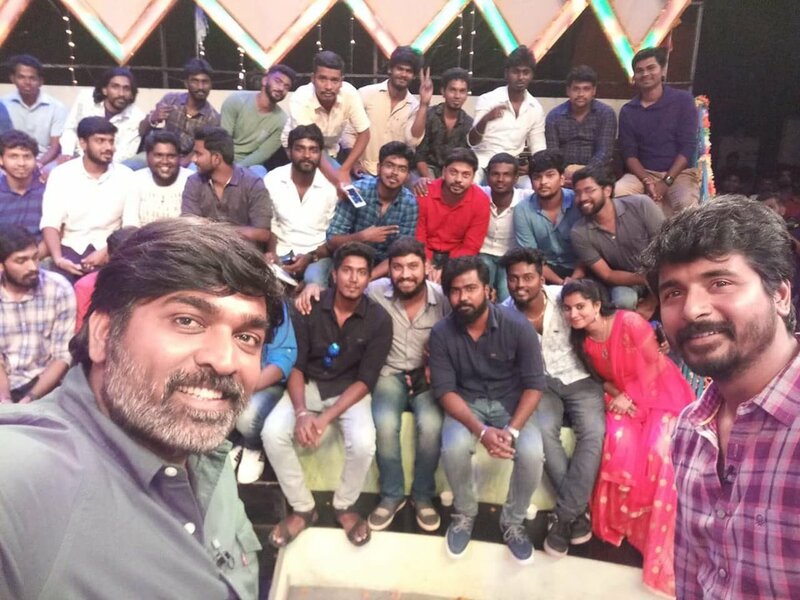 Vijay Sethupathi who is seen as the darling of fans has completed 25 movies in a short period of time. In a way to celebrate this achievement, a programme was organised in a TV channel. Among all the surprises that were in store for the versatile actor, Sivakarthikeyan, who is seen as his competition onscreen, made a visit to the programme. They took a selfie with the audience in the show and this photo is being shared virally in social media. The netizens are in praise of the healthy trend among the young heros to compliment each other.